Repairing the damaged structure of hair,it can help the hair to become healthy and shiny again. helping absorb the nutrition of hair oil or conditioner much more efficiently. 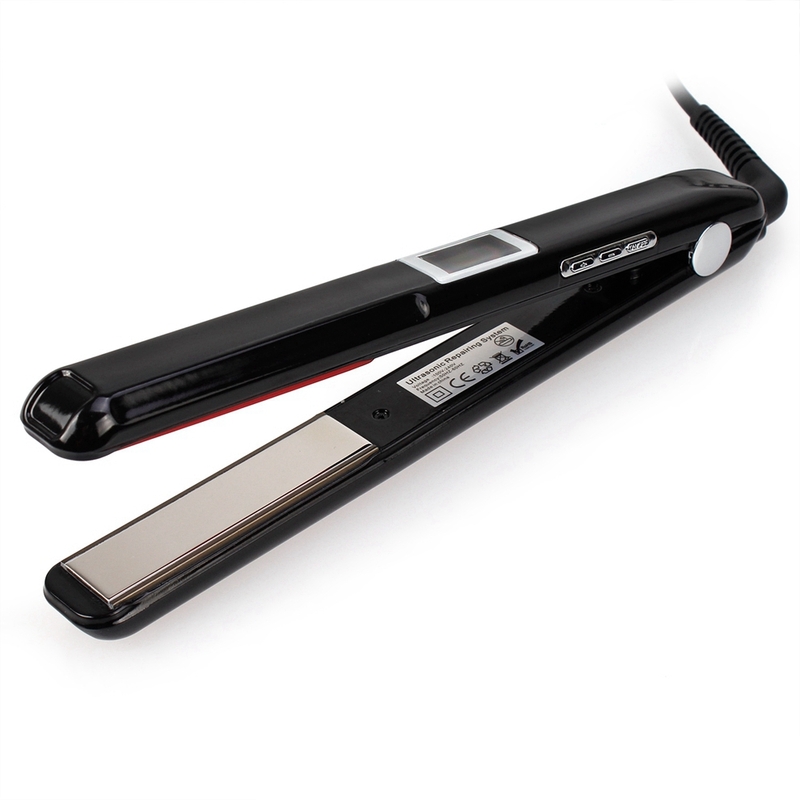 This is not a hair straightener or flat iron, this is a hair care iron. 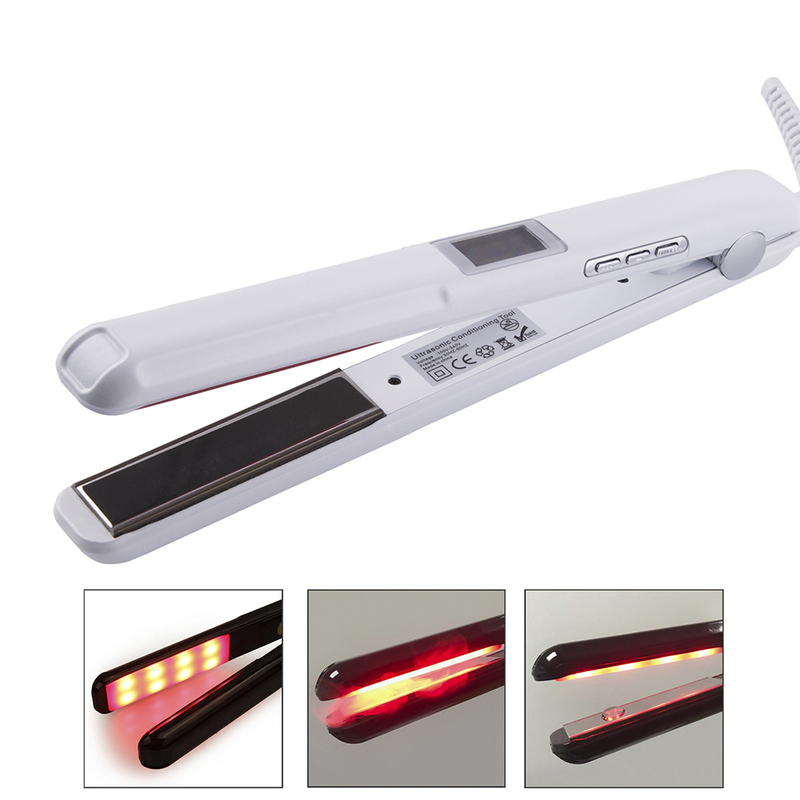 How to use this Ultrasonic Infrared Hair Care Iron? 2. Plug it on and lighten the display. 3. 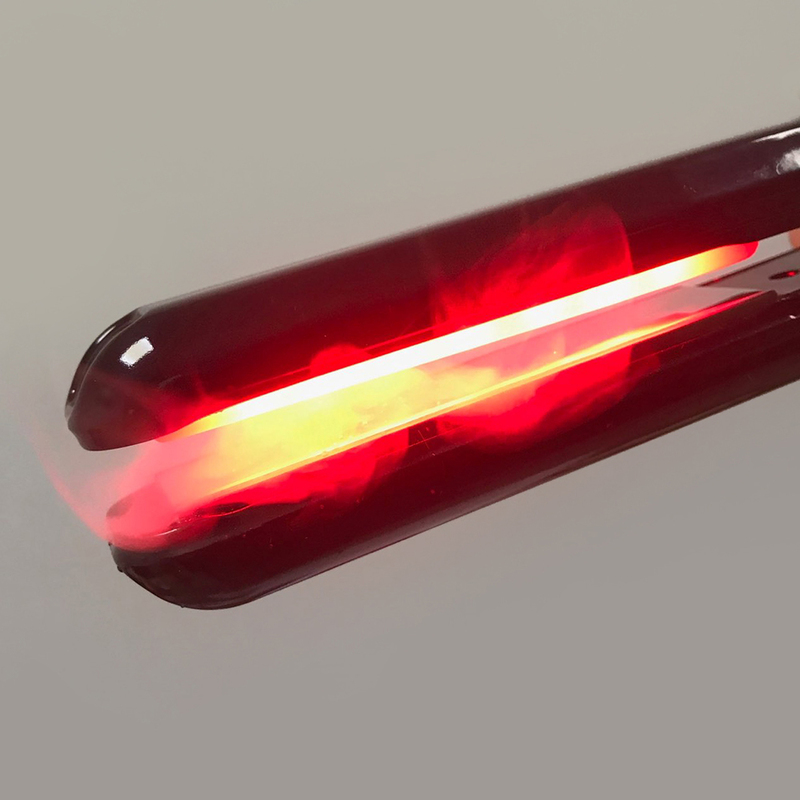 Click the ON/OFF button for 3 seconds, the display will change to time setting display, at the same time, the function of far-infrared open. 4. 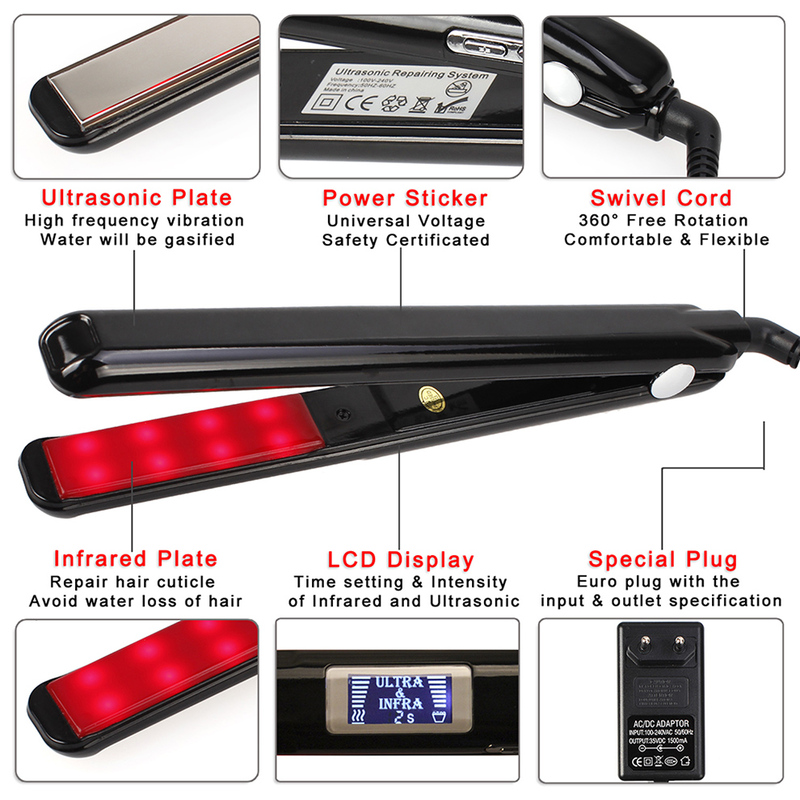 Press the "+" and "-" key to adjust the using time of ultrasonic hair care, maximum 18 seconds and minimum 2 seconds. 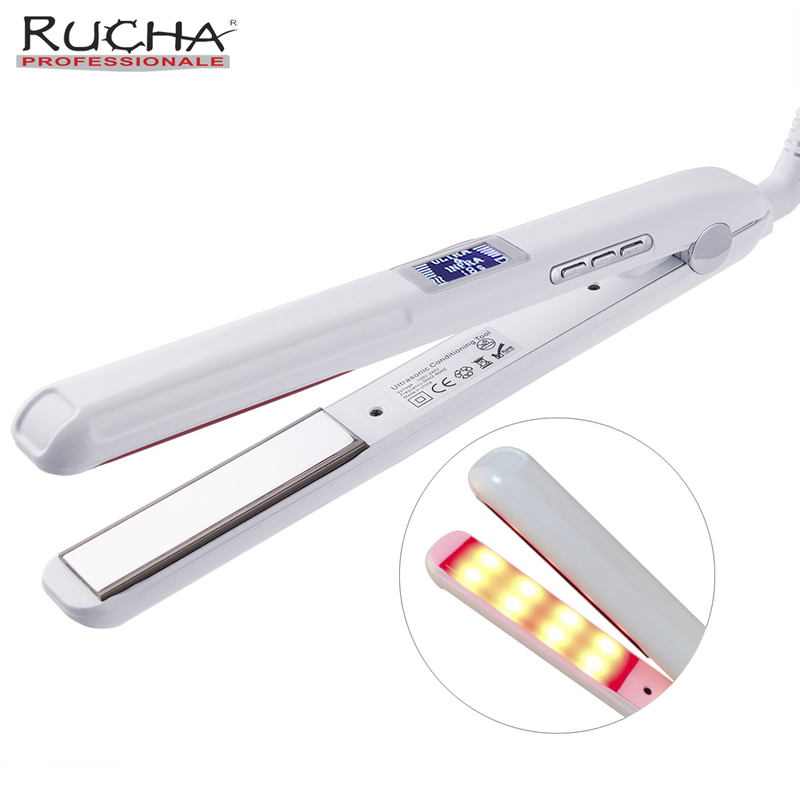 After setting the time, close the hair care iron, then the inside system will apply the ultrasonic function of hair care automatically till the time to stop. We provide free plug adaptor according to different countries. Please leave us a message if there’re special needs. 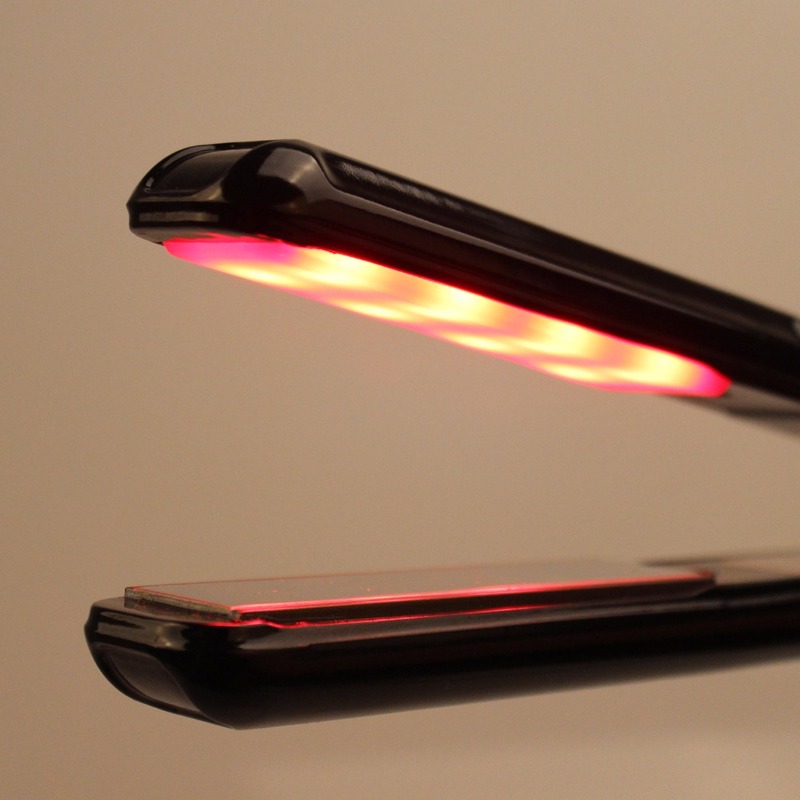 When using the hair care iron, the far infrared ray generates power to divide the protein into small molecules, and make them rearrange to connect more closely. As a result, compared with hair care without the assistance of infrared function, the hair absorb the protein much more efficiently, and the hair become more healthy, smooth and shiny.